1 double packet (1kg) pre-cut vegetables (Chunky Vegetable pack) – this includes: butternut/pumpkin, potato, leeks, onions, carrots, parsnips and turnips. Place into big pot and either put about 2 vegetable cubes or I use vegetable powder so about 2 heaped tablespoons. I also put a bit of onion powdered stock – about 1 tablespoon and a nice “helping” of table salt. The stock powder is a bit salty but for me, not salty enough and lots of people don’t like too much salt so this I leave to your taste buds. Cover with water plus and let cook till vegetables are nice and soft. You may have to add a bit more water – not a problem. Put as much as you think just to boil till veggies are soft. It can take up to 2 hours. Don’t cook on very high heat. 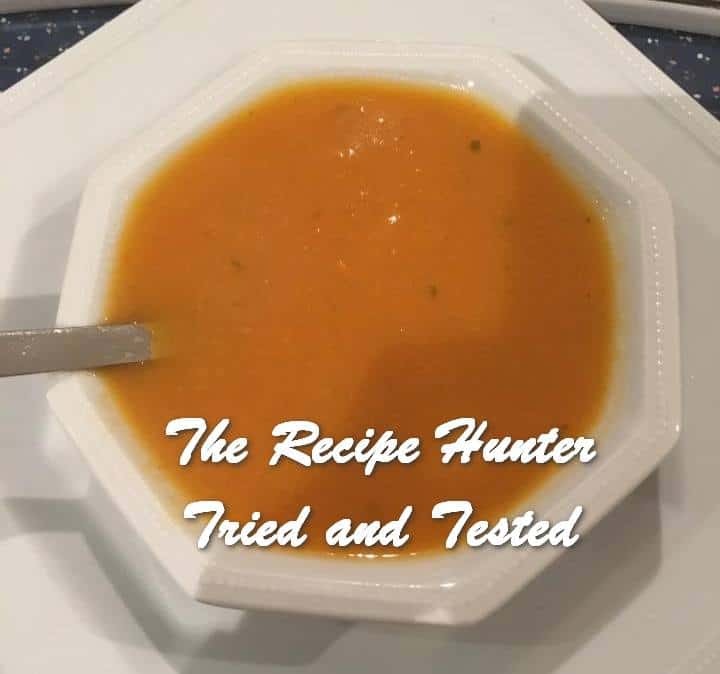 Let it cool slightly and I personally prefer my soup blitzed so I use my blender stick and blitz still smooth. Let cool completely and decant if need be as it freezes beautifully. (We are only 2 so this gives at least 8 generous meals).